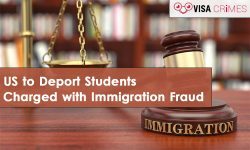 On Tuesday, the province of Massachusetts asked its apex court to rule that local authorities do not have the jurisdiction to remand undocumented ..
Two brothers were arrested in connection to the immigration fraud by Canada Border Services Agency (CBSA) in the month of May. The men from .. The Two British Men were charged with immigration fraud after the incident of the Albanians rescued from the English Channel waters. The United ..
An Emirati woman working in the Naturalization and Residency Department, Dubai favored her friend to grant 120 visas using fake documents. 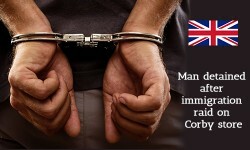 ..
An individual who was working at Corby store has been arrested following an immigration raid. The immigration enforcement officials had visited ..